A 2004 Dodge Ram pickup truck collided with the median on U.S. 17 in Brunswick, Georgia. The wreck occurred north of the Sidney Lanier Bridge, according to Jacksonville.com. The collision was so severe that the truck flipped over and was propelled into the southbound lanes of the four-lane highway. A 23-year-old passenger was seriously injured in this accident and had to be transported to the hospital for immediate medical attention. Unfortunately, accidents like the one described above are quite common. In 2013, over 113,000 people were injured in automobile accidents, according to the Georgia Governor’s Office of Highway Safety. 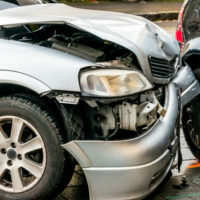 When a serious auto accident occurs involving multiple occupants of a vehicle, a common question is asked – what rights does a passenger have to recover for their harms and losses? The answer is you are entitled to pursue the same types of damages as a driver injured in a collision. Another economic damage is lost income. You are able to pursue the wages you lost as a result of taking time away from your job for treatment. Even if you took vacation days or sick time during your treatment, you should be able to get compensation for those lost days. The evidence to prove lost wages is typically pay stubs, W-2s and other financial records from your employer. If your injuries are so severe that you are permanently unable to work, then your lost wages claim can include future wages that you would have earned had it not been for the accident. Depending on your age and chosen profession, this may mean loss wages totaling hundreds of thousands of dollars. In addition to economic damages, you can pursue non-economic damages, which are commonly referred to as “pain and suffering”. Pain and suffering damages are the harms and losses that do not fit neatly into an invoice or spreadsheet. They are those harms and losses that affect your daily life and the quality of your life. For example, if you suffered a serious neck injury and are in constant pain requiring medication on a daily basis, that is a serious inconvenience and degradation of your quality of life. This damage should be compensated appropriately. Other pain and suffering damages include the emotional trauma from the collision. Some people never fully recover from the trauma associated with a serious accident. Others suffer emotional trauma brought on by the financial stress caused by an accident, including the stress and anxiety of covering all of your expenses while you are unable to work and recuperating. Gillette Law, P.A. is here to help you if you were injured as a passenger in a collision in Florida or Georgia. We offer free, confidential consultations and work on a contingency fee basis, which means you only pay a legal fee when your personal injury attorney wins your case.